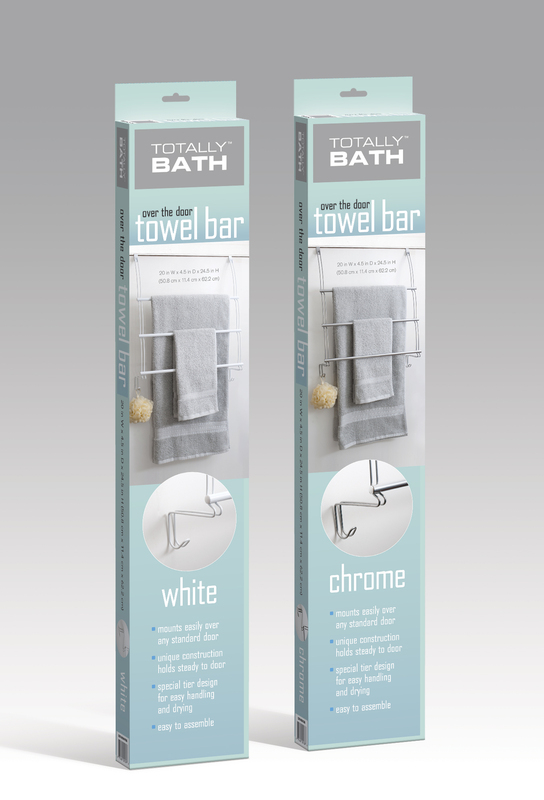 For IDP‘s Totally Bath package design we established a unique coloration, specifically for Bed, Bath and Beyond. These towel bar boxes are one example of this look. We also photographed the products for these packages.